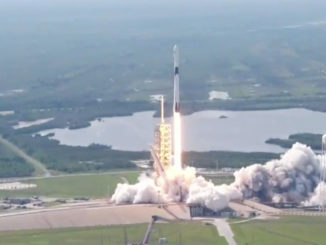 SpaceX’s upgraded Falcon 9 rocket debuted May 11 with a successful launch from NASA’s Kennedy Space Center in Florida carrying the Bangabandhu 1 communications satellite. 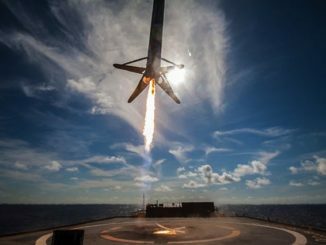 The first upgraded Falcon 9 rocket, known as the ‘Block 5’, takes flight from launch complex 39A at the Kennedy Space Center on 11 May 2018. 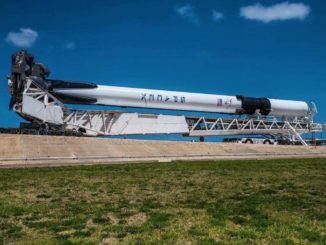 SpaceX’s Falcon 9 rocket is set for liftoff from Cape Canaveral on Friday, heading due east over the Atlantic Ocean to deliver the Bangabandhu 1 communications satellite into orbit around 33 minutes later. 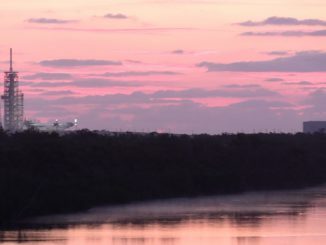 The first Falcon 9 Block 5 rocket goes upright at launch pad 39A soon after sunrise on 10 May 2018. The rocket is due to launch the Bangabandhu 1 communications satellite for the Bangladesh Telecommunication Regulatory Commission. 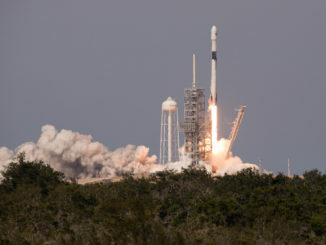 SpaceX launched the first of the company’s upgraded generation of Falcon 9 launchers, known as Block 5, from the Kennedy Space Center on Friday at 4:14 p.m. EDT (2014 GMT). 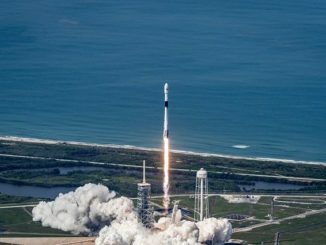 The Falcon 9 rocket lifted off with Bangladesh’s first communications satellite, and SpaceX recovered the rocket’s first stage on a vessel in the Atlantic Ocean. 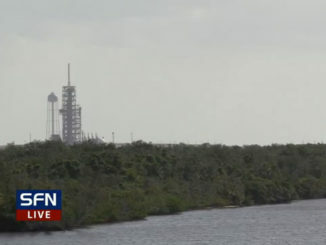 Watch live views from the Kennedy Space Center’s launch pad 39A as SpaceX prepares for the first flight of the Block 5 Falcon 9 rocket. 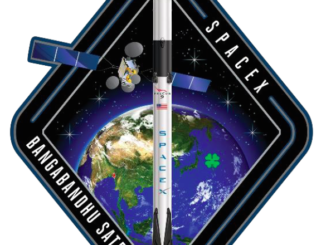 The rocket is scheduled to launch the Bangabandhu 1 communications satellite no earlier than 10 May. 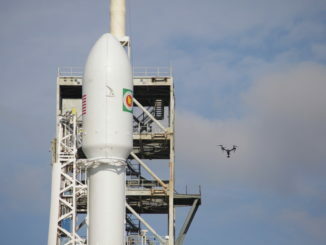 The launch of Bangladesh’s first communications satellite on top of a new version of SpaceX’s Falcon 9 rocket is set for Thursday, officials said Monday, after a data review following a hold-down engine firing last week. 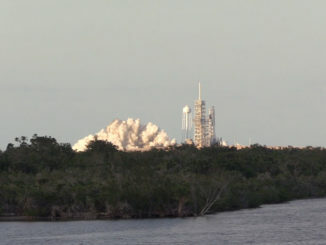 SpaceX’s launch team loaded liquid propellants into the company’s first upgraded Falcon 9 Block 5 rocket Friday at the Kennedy Space Center in Florida, and the countdown rehearsal culminated in a brief ignition of the launcher’s nine Merlin main engines on the launch pad.